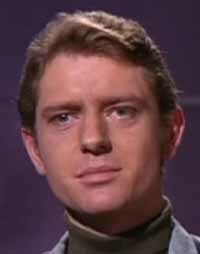 The Unmutual Website is sad to report that Mark Burns, who played Number Two's assistant in the episode "It's Your Funeral" died of cancer on 7th May 2007. He was 71. As well as "The Prisoner" he appeared in over 60 films and TV shows during his career. He won the Best Actor award at the Sitges: Catalonia International Film Festival for his performance in the horror film "House of the Living Dead", and made memorable appearances in films as diverse as "A Death in Venice", "The Stud", "The Virgin and the Gypsy", "Juggernaut", and "Charge of the Light Brigade. TUW would like to extend its sincerest condolences to Mr Burns' family and friends. Click here for a more detailed obituary. With thanks to SR, Alan Jones, and David Mackenzie for this news item.